The dry rations collected through the joint effort of all Sri Lankan Associations, Sinhala Language schools and individuals, to be donated to the affected farming community of New South Wales, were handed over to the Lions Club ‘Need for Feed’ unit on 4 October, at a simple ceremony held at the official residence of the Consul General for Sri Lanka in New South Wales & Queensland. A total of 150 boxes of dry rations were collected, making this a great success. Department of Foreign Affairs and Trade (DFAT) Deputy Director (NSW Office) Mary Lewicka was present at the distribution ceremony, together with District Governor 201 N3 (Hunter) Lion Keith Stewart, and District Governor 201 N5 (Sydney) Derek Margerison, and other Lions and Lion Ladies. Addressing the gathering, Consul General Lal Wickrematunge stated that the diplomatic relations between Sri Lanka and Australia reached 70 years last year, and Australia has always extended assistance when natural disasters impacted on Sri Lanka. 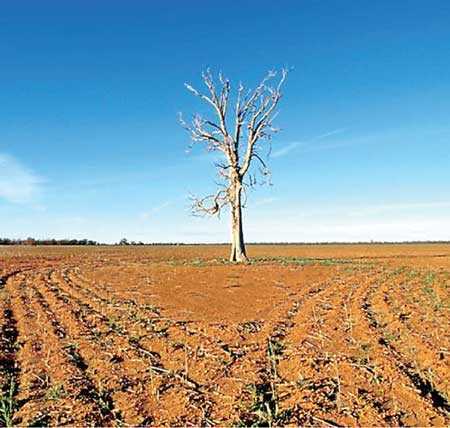 When Australian farmers were stricken by the drought, the Sri Lankan-origin community domiciled in New South Wales took the initiative in helping the affected. Lion District Governor Keith Stewart stated that the assistance extended by the Sri Lankan community in the time of need is much appreciated, and the people will remember the goodwill shown by their fellow Sri Lankans. Working on the ground with the affected farmers, the Need for Feed Program ensures that the dry rations collected will reach the families directly. An initiative set in motion on a suggestion made by Dilip Kumar was seen to a successful conclusion. DFAT State Office in New South Wales Actg. Director Ryan Neelam stated that they were “touched” by this humanitarian gesture of the Sri Lankan community. The Consulate General acknowledges all the Sri Lankan Associations involved, including Sri Lanka Association of NSW, Inc., Sinhalese Cultural Forum of NSW Inc., Tamil Senior Citizen’s Association, NSW, Inc., Austra-Lanka Muslim Association, Sri Lanka NSW Catholic Association, Lak Saviya Foundation, The Institution of Engineers, Sri Lanka NSW Australia Chapter, Sri Lankan Hoteliers Association, University of Kelaniya Alumni, University of Colombo Alumni, Tharuna Youth Group of Sinhalese Cultural Forum of NSW, St. Benedict’s College Old Boys Association, Royal College Old Boys Association, NSW & ACT, Minto Sinhala School, Blacktown Sinhala School, Newcastle Sinhala School & Community, North Parramatta Sinhala School and Sydney Sri Lankan Lions Club who joined hands for these efforts. SYDNEY (Reuters): A recent warming of the Pacific Ocean has led to a 70% chance of an El Nino weather event developing this year, Australia’s Bureau of Meteorology said on Tuesday. El Ninos are particularly damaging to Australia, with the last one in 2015/16 cutting agricultural production in the country – among the world’s largest exporters. The weather outlook comes at a time when dry conditions have wilted crops and pasture in Australia’s east coast, leaving many farmers struggling to survive.